Welcome to The Hamilton Apartment Homes in Austin, TX, where you will discover the perfect combination of location, lifestyle and value. Conveniently located in the desirable and popular south-central Austin area, The Hamilton is just moments from Downtown Austin, major employment centers, fine dining, shopping, and entertainment. Relax and unwind in this peaceful community nestled among lush, mature landscaping – or enjoy one of our many fine amenities. Choose from four stylish floor plans – each beautifully finished with 9 foot ceilings, abundant natural light, designer kitchens, walk-in closets, private patios & balconies, and many other fine features. 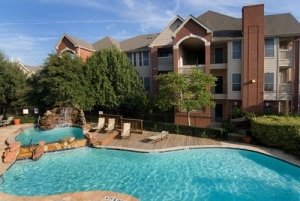 Schedule an appointment to tour our elegant apartment homes and learn about the lifestyle, amenities, and affordability you will find at the Hamilton Apartment Homes in Austin, TX.